Ideal For Routine Moisturizing And Skin Protection. 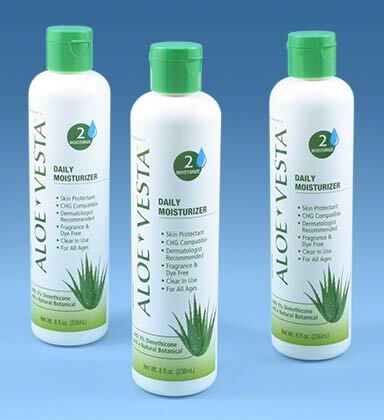 Aloe Vesta 2-n-1 Skin Conditioner And Protectant soothes minor skin irritation as it softens and moisturizes. Helps prevent and temporarily protects chafed, chapped, cracked, or windburned skin. Helps treat and prevent diaper rash by sealing out wetness and protecting against minor skin irritation. Fragrance free. Dermatoligist recommended. Compatible with latex gloves. Three 8 oz. bottles per package.